Lyme, Connecticut, early nineteenth century. Elisha Ely Morgan is a young farm boy who has witnessed firsthand the terror of the War of 1812. Troubled by a tumultuous home life ruled by the fists of their tempestuous father, Ely's two older brothers have both left their pastoral boyhoods to seek manhood through sailing. One afternoon, the Morgan family receives a letter with the news that one brother is lost at sea; the other is believed to be dead. 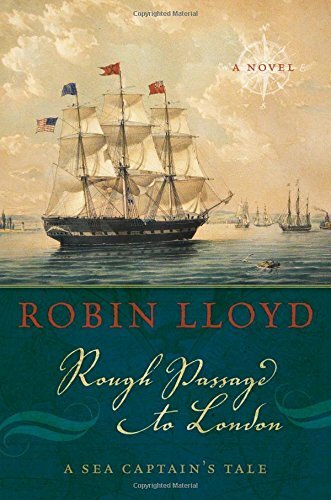 Scrimping as much savings as a farm boy can muster, Ely spends nearly every penny he has to become a sailor on a square-rigged ship, on a route from New York to London—a route he hopes will lead to his vanished brother, Abraham. Learning the brutal trade of a sailor, Ely takes quickly to sea-life, but his focus lies with finding Abraham. Following a series of cryptic clues regarding his brother's fate, Ely becomes entrenched in a mystery deeper than he can imagine. As he feels himself drawing closer to an answer, Ely climbs the ranks to become a captain, experiences romance, faces a mutiny, meets Queen Victoria, and befriends historical legends such as Charles Dickens in his raucous quest. Robin Lloyd's early years were spent on the island of St. Croix, where his parents owned a dairy farm and milk plant. As a boy, he grew up sailing in the Caribbean. Lloyd was a foreign correspondent for NBC News for many years, where he reported mostly from Latin America and Africa. He also covered the White House during the Reagan and Bush administrations. Lloyd has created and produced news programs with foreign networks as well as documentaries and segments for domestic stations, including Maryland Public Television. Among his prestigious awards are four Emmys from the National Capital Chesapeake Bay region and an Overseas Press Award. He lives in Chevy Chase, Maryland.